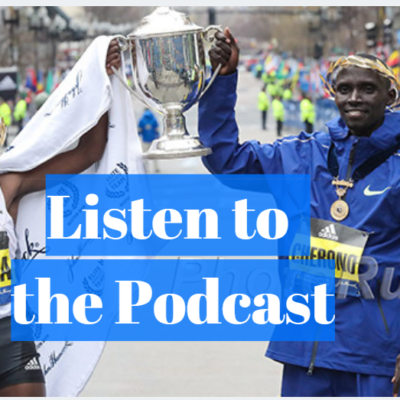 – US Olympian and 3-time World XC champion Lynn Jennings talking about how being a lifelong runner saved her life after she had an acute bilateral pulmonary embolism. 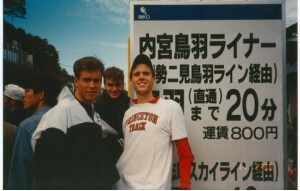 Who will qualify for the world 3000m team from the US? 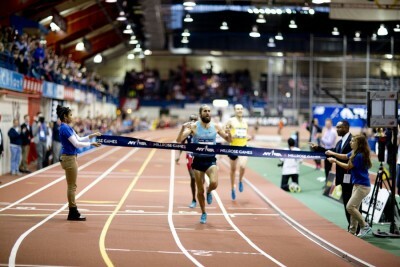 Could Mo Farah break the 10K track WR this summer? 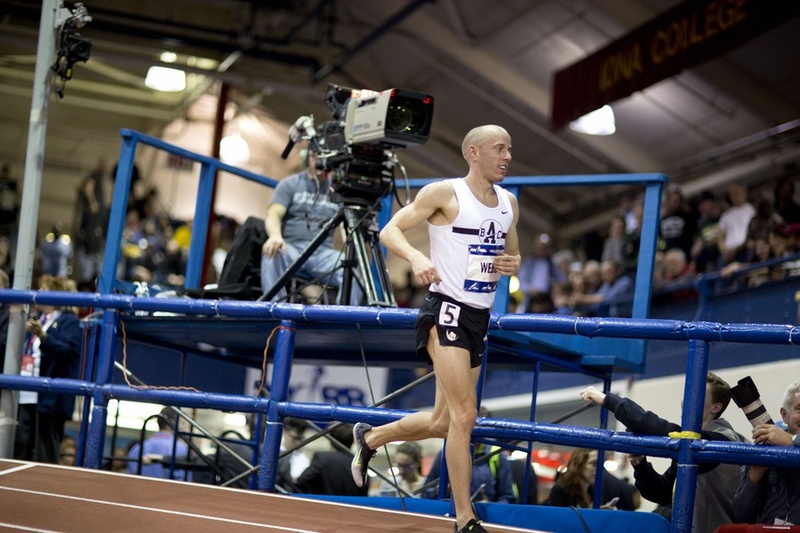 Good Read: The Atlantic: “The Unsung Glory of the Mile Run Alan Webb’s final 1,609.34 meters were a tribute to middle-distance runners everywhere.” Alan Webb’s last mile inspires writer to chronicle some of Webb’s career as well as the aspects that she feels makes the mile great. UK Sprinter Richard Kilty Benefits From James Dasaolu’s Injury Kilty took Dasaolu’s world indoor team spot in the 60m. Multi-Event Star Katarina Johnson-Thompson Will Compete In LJ At World Indoors She missed going in the pentathlon as she was sick and didn’t compete in a full event, but was still selected for the UK team in the LJ as she won the British Indoor Champs. UK’s Former 400H World Champ Dai Greene Trying To Get Back On Top This Summer After Disappointing 2 Years He wants to start by regaining his European Outdoor title and then will represent Wales at the Commonwealth Games. IAAF Final Day Recap Russian Indoor Champs: Svetlana Karamasheva Comes Back From 800 Bronze To Win 1,500 Gold She won over Natalya Aristarkhova and 800m champ Anna Shchagina. 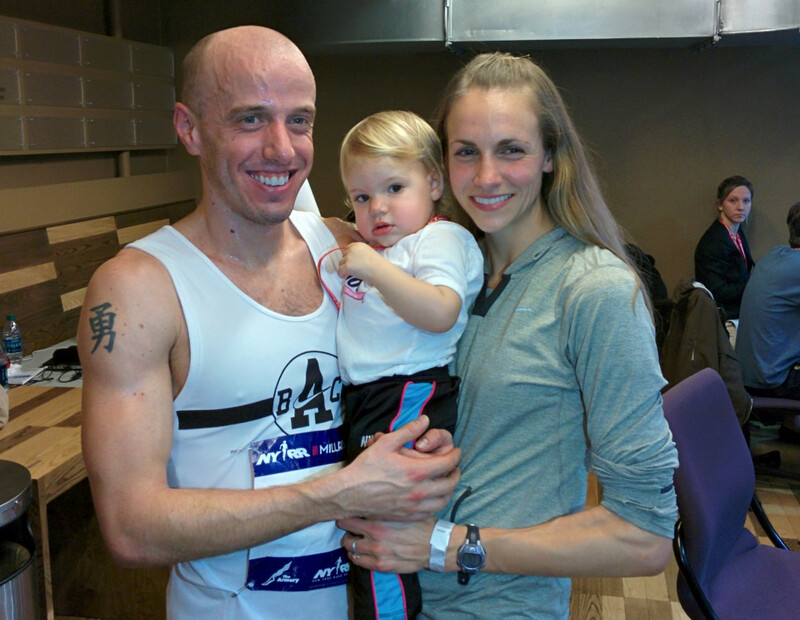 Valentin Smirnov won the men’s race in 3:41.65, missing the Worlds standard (he said he was tired from 300+ mile weeks??? 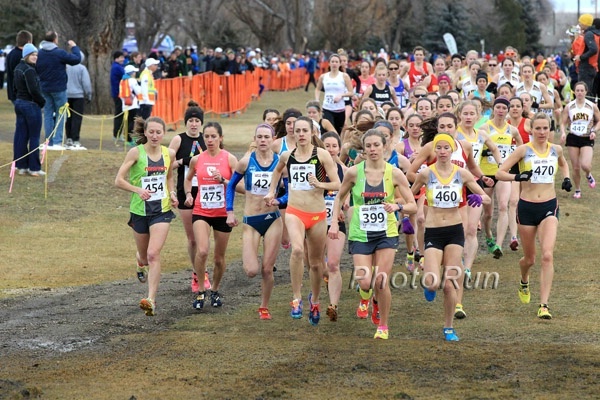 ), Alla Kulyatina won the women’s 5k (15:30.52), and in the men’s race twins Anatoliy Rybakov and Evgeniy Rybakov went 1-2 in 13:44.21 and 13:44.70. Elite Field Announced For April 5th Prague Half Marathon Women: 1:07:03 woman Joyce Chepkirui leads, 2-time World XC champ Emily Chebet, Worknesh Debele (1:07:49) , 2011 NYC Marathon champ Firehiwot Dado. 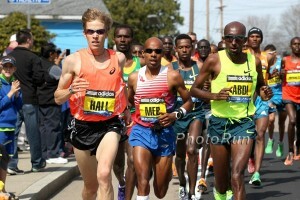 Men are led by Atsedu Tsegay (58:47), 2012 New York Half Marathon winner Peter Kirui and 2011 Prague winner Philemon Limo. Report Also Rips Double Medalist Vivian Cheruiyot For Demanding Her Husband Be Accomodated In The Olympic Village Memo to Kenya: She won two medals. More Administrative News: Swiss Anti-Doping Expert Says Brazilians Face Stiff Task In Trying To Get Anti-Doping Lab Up And Running For 2016 Games Brazil is so bad at anti-doping that the 2014 World Cup drug testing is being sent to Switzerland. 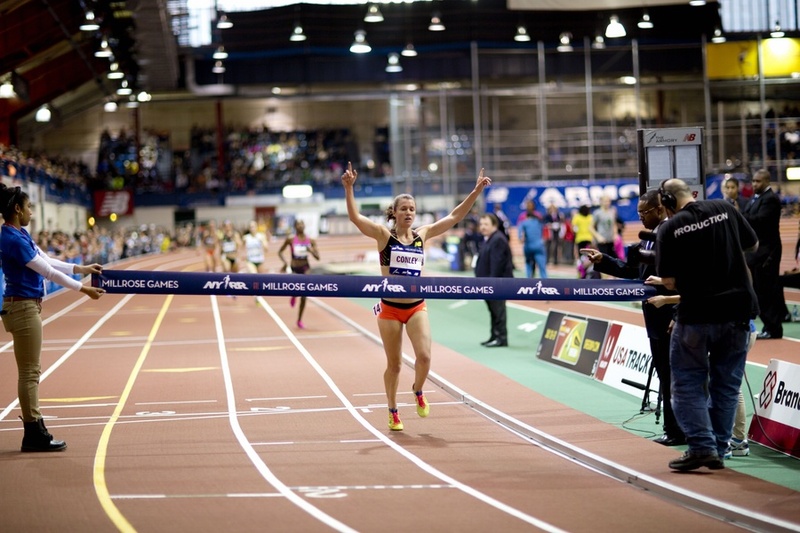 Over The Weekend, Kelly Proper Won A Record-Breaking 16th Irish Indoor Title She won both the 200 and LJ. The crazy thing is she’s still only 25 years young. 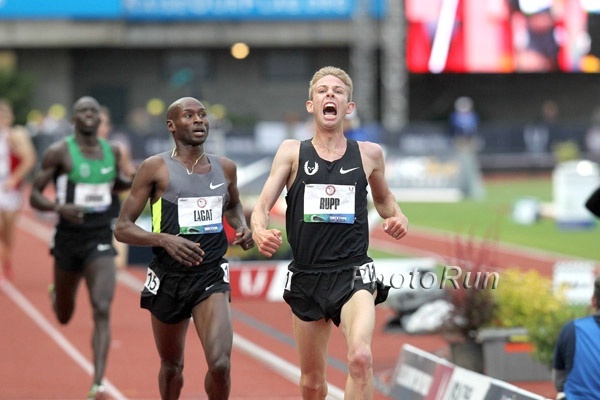 Four of the top five all-time at 3,000m - Galen Rupp, Bernard Lagat, Ryan Hill and Andrew Bumbalough - will square off with Lopez Lomong for the two World Championships spots. 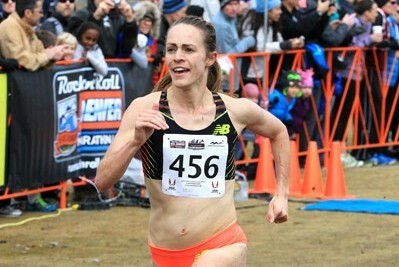 Jordan Hasay has a good chance to win her first USATF title, but there are two other women with great credentials (Shannon Rowbury and Gabriele Grunewald (nee Anderson)) trying to stop her and book their tickets to Poland. Worlds outdoor silver medalist Nick Symmonds has to be the favorite, but he's got his hands full at USA indoors. Which Robby Andrews shows up? Teen phenom Ajee' Wilson and former teen phenom Chanelle Price lead the women. 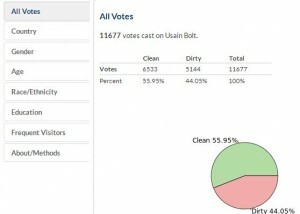 Potential Controversy In Albuquerque Already? 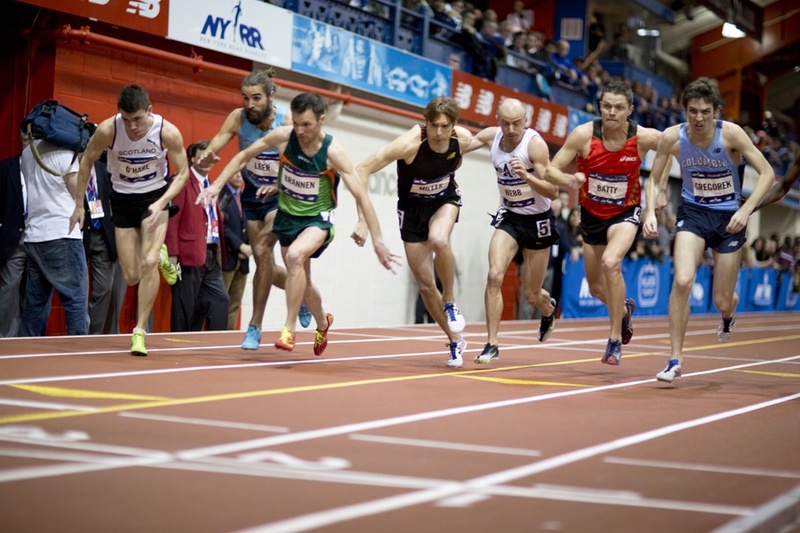 USATF: US Indoors Preview/Info There will be plenty of live coverage as USATF.tv starts its broadcast Saturday at 2PM ET and NBC starts at 4:30PM ET. When the main coverage moves over to NBC, USATF.tv will continue to broadcast showing the field events. 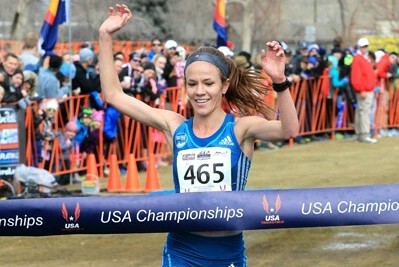 2012 US Indoor 800 Champ Erica Moore Returns To Albuquerque After 2 Years Of Injury & Illness Moore won a World Indoors bronze in 2012, then disappeared for 2 years as she has dealt with an Achilles injury and mono. Quotes From Pre-Event Press Conference For US Indoor Champs Includes quotes from Ajee’ Wilson and Jenn Suhr. 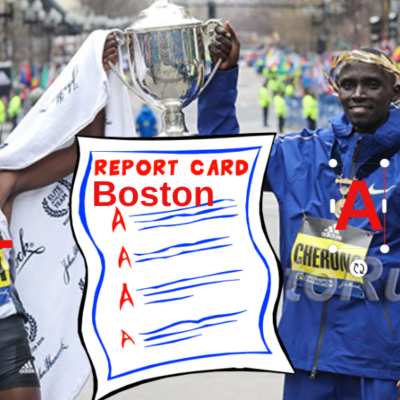 LRC Alan Webb Crowd Surfs, Proof That Life Isn’t Fair, Our Thoughts On The Women’s World Records, And High Praise For Sean McGorty And Elise Cranny This week we give you inside access to Alan Webb‘s retirement party, tell you what we think about Genzebe Dibaba‘s world records (and Florence Kiplagat‘s), give Mary Cain fans reason to dream of a medal at World Indoors, give high praise to Sean McGorty and Elise Cranny and prove that life isn’t fair. Ja pan Running News Weekend Preview: Asian XC Champs And Tokyo Marathon The Tokyo Marathon has a great field that includes 2-time World champ Abel Kirui, Tadesse Tola, (2:04:49), 2011 World Junior XC champ Geoffrey Kipsang and more. 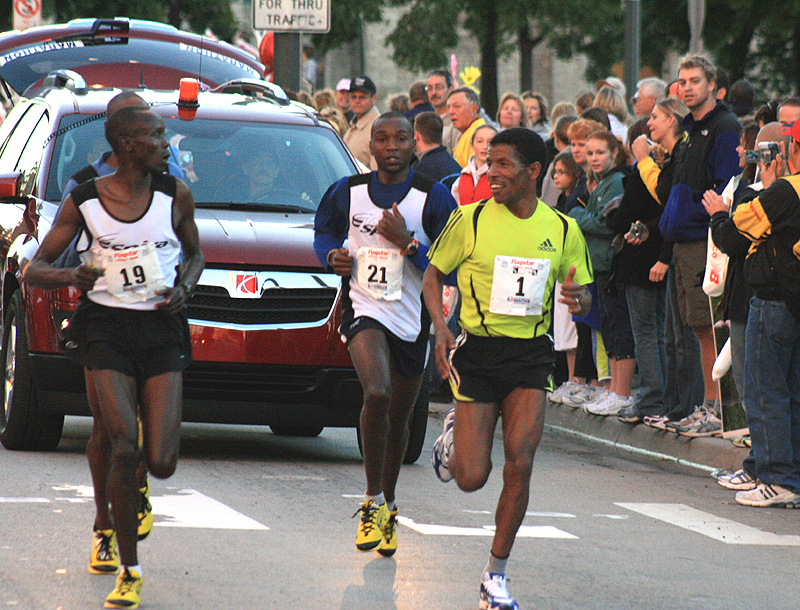 Former Marathon WR Holder Patrick Makau Close To Return From Injury His team said he is training and they are debating whether he should run some short tune-up races before going back to full marathons. 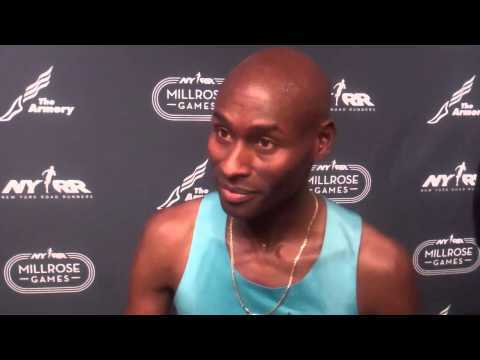 Bernard Lagat To Race 2014 Carlsbad 5,000 On March 30th Lagat will go for the American road record of 13:24 set by Marc Davis in 1996. 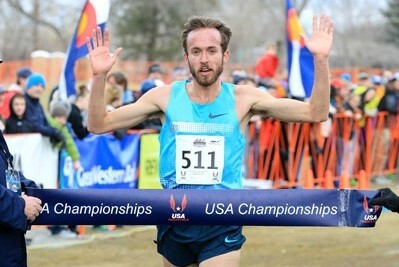 Eugene Marathon Increases Prize Money And Support To Help US Runners Hit Olympic Trials Standard Ian Dobson is the elite athlete coordinator and 2:13 man Craig Leon will pace a group through 30k at 2:15 (OT “A” standard) pace. 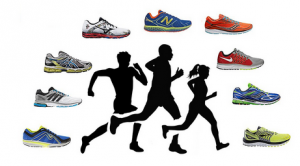 Another Study Shows It’s Not Bad For You To Run A Lot Or Race Marathons The study looked at the hearts of runners from the 2012 Boston Marathon. 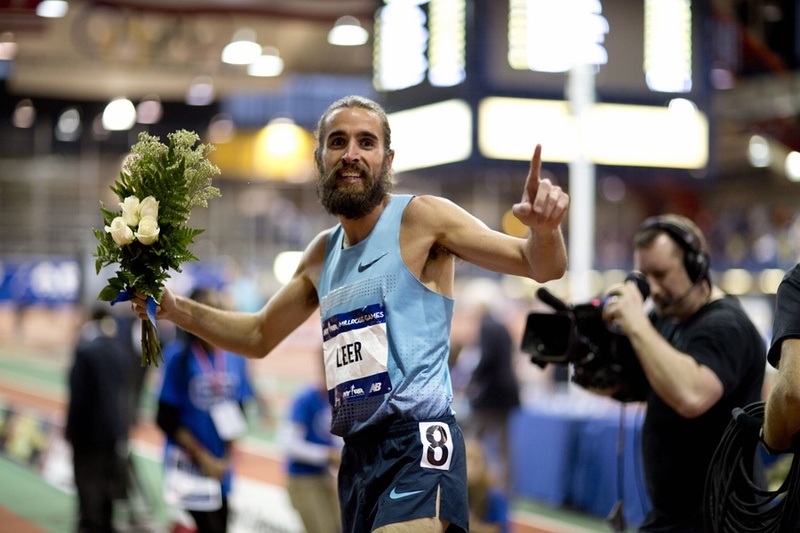 SpikesMag Takes A Walk Through History: 13 Magic Moments From Past world Indoors Watch some cool videos including Haile Gebrselassie win the 1,500/3,000 double in 1999. The IAAF Looks Back At The Elite Track History Of The Bahamas As They Get Ready To Host The First World Relay Championships They’ve won 16 gold medals (all sprints and jumps) at global championships since 1995. SpikesMag Shares The Ten Reasons They Think Renaud Lavillenie Was Able To Break The Pole Vault WR Last Weekend They share some interesting facts about Lavillenie. Oregon Women Move Back To The Top Of NCAA Polls As Last Week’s Number 1 Texas Moves Down To 5th Arkansas men stay on top. 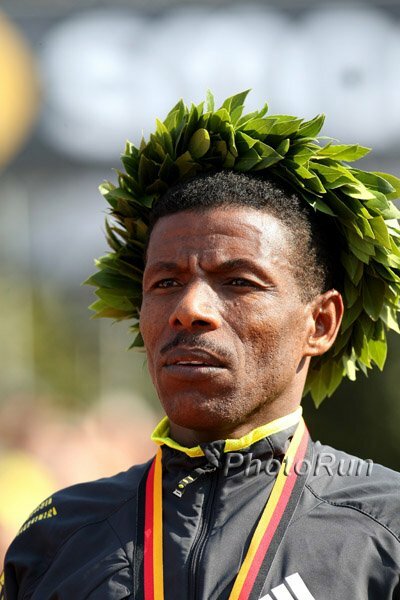 Haile Gebrselassie Will Be A Pacemaker For The 2014 London Marathon The plan is for him to take the field through 30k on world record pace (around 1:28). 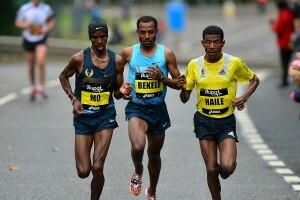 It was also announced that Dubai Marathon champion, 18-year-old Tsegaye Mekonnen (2:04:32) has been added to the field. NAU All-American Matt Mcelroy Commentating Live Stream For NAU Last Chance Meet Friday Starts at 5:30PM ET. 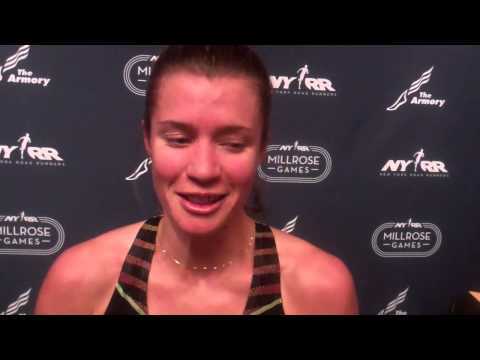 ND Alex Wilson: Isaac Wood’s 5 Races To Watch Emma Bates tries to get a 3k time for NCAAs. 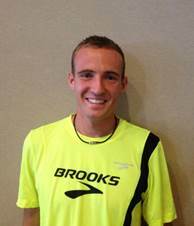 Lukas Verzbicas Signs With New Balance His first competition under the new sponsor will be the Clermont Pan American Cup on March 1. 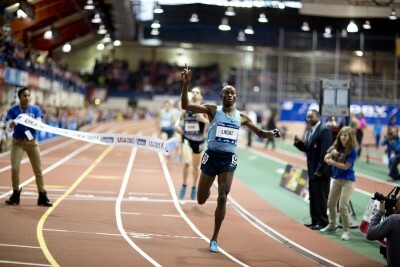 Bernard Lagat Named USATF Athlete Of The Week For Taking Down 33-Year-Old US 2,000m Record Lagat ran 4:54.7. Lauryn Williams Makes Olympic History In Sochi By Becoming The First Track Gold Medalist To Medal At The Winter Games She and driver Elana Meyers took home the silver medal behind a team from Canada. Williams becomes just the fourth person in history to win medals at both the Summer and Winter Olympics. The team of former shot putter Aja Evans and Cornell All-American heptathlete Jamie Greubel got the bronze. USA Today: Lolo Jones Misses Medal But Celebrates With Teammates Jones and her sled partner finished 11th. Canada’s Gold Medal Winning Bobsled Team Including Former Sprinter Heather Moyse She competed for the University of Waterloo and is still 3rd all-time on their 60m list. Meet The “Blonde Dragon” – Cornell Heptathlon School Record Holder Jamie Greubel She almost made the 2010 Games as a pusher; now she’s a driver. Greubel’s Sled Is Pushed By Former Illinois Track Star Aja Evans Evans is quite an athlete. Top five in the NCAA shot put, she also ran 7.63 for 60m. Interesting: A Look At Some Of The Worst Winter And Summer Olympians In History Includes a thrower from the very first modern Olympics. 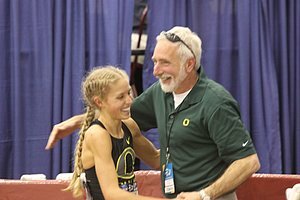 Recommended Read: Renato Canova Reveals All Of The Key Workouts For Florence Kiplagat During The Last Month, Leading Uo To Her 13.1 WRecord How about 3k (9:20), 2 x 2k (6:07), 5 x 1k (sub-3:00)? Very impressive. Canova adds more insight by discussing the workout on the message board. Canova post #1. Canova post #2. Iona’s Kate Avery Is Snubbed Because She Didn’t Send An Email Avery didn’t know there was even a chance she’d be considered but now she’s out on a technicality as she didn’t email to ask for permission to skip the UK Trials. 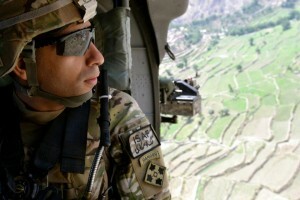 Instead, GBR will only send one woman. 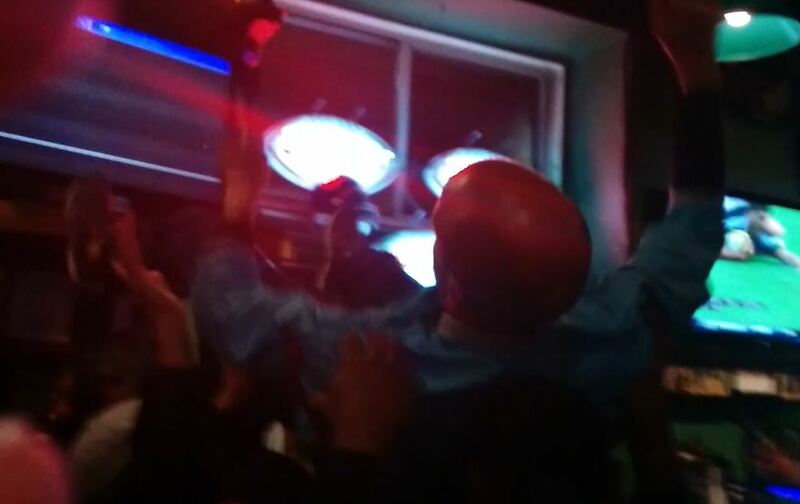 Dasaolu got injured in Birmingham over the weekend.